NPH Drainage & Property Services carry out all types of drain work from blocked toilets to contract gully emptying. 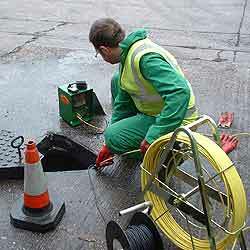 We deal with cess pools, pipe work trace, high pressure jetting, cctv drain surveys plus much much more. We have been established for many years, based in Southport we have since our inception grown to become a known and respected name within the industry. All across our region of the Northwest, and beyond, our quality of service and speed of completion are second to none. We provide our customers with efficient, friendly and above all a professional service each and every time. Whatever your drainage requirements feel free to contact us via the details on our contact page. All of our work is carried out to the highest possible standards, and our employees carry out all of their work quickly and efficiently. Our workers are fully trained to help your drainage problems. Should you have any drainage problems needs, please feel free to give us a call.